Lisa from Yeovil, Somerset had no background in swimming, cycling or running, yet her speedy three-year rise to the Ironman finish line included winning her very first novice triathlon, and unexpectadly taking 1hr 22mins off her half Ironman time in just one year, narrowly missing a qualifying time for the ETU Long Distance Championships at Weymouth. “I just loved it all so much, I couldn’t imagine not doing it.” Lisa says. 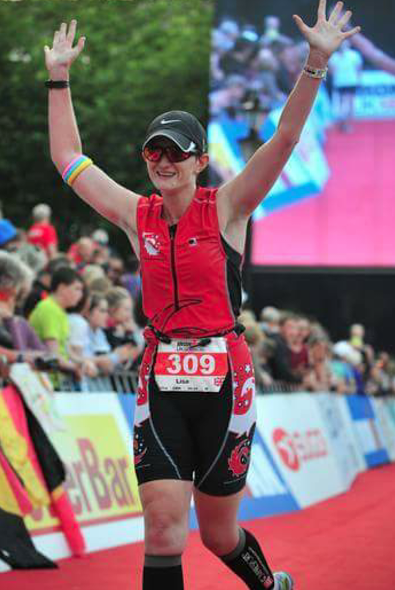 After joining her friendly and supportive triathlon club the Wessex Wizards, and claiming her very first Ironman medal in 14hrs 23mins at Bolton in 2014, Lisa decided to go for an even better time this year; and take on the same Ironman course 12 months on from her first long distance race. Unfortunately – Lisa discovered that sometimes, there are lumps and bumps in the way of those PBs. This is her story. “I’ve always loved sports.” Lisa says. “My main sports were badminton, volleyball and archery. But after finishing university, I felt a lack of fitness was hindering playing badminton at a higher level, so I got my old bike out of the shed – it hadn’t been touched in eight years! 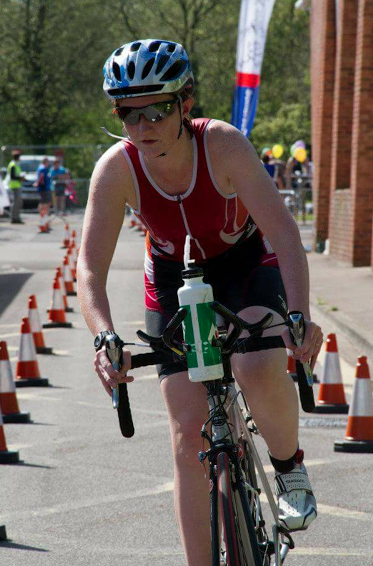 Lisa really enjoyed her first triathlon race – in fact, she won it. 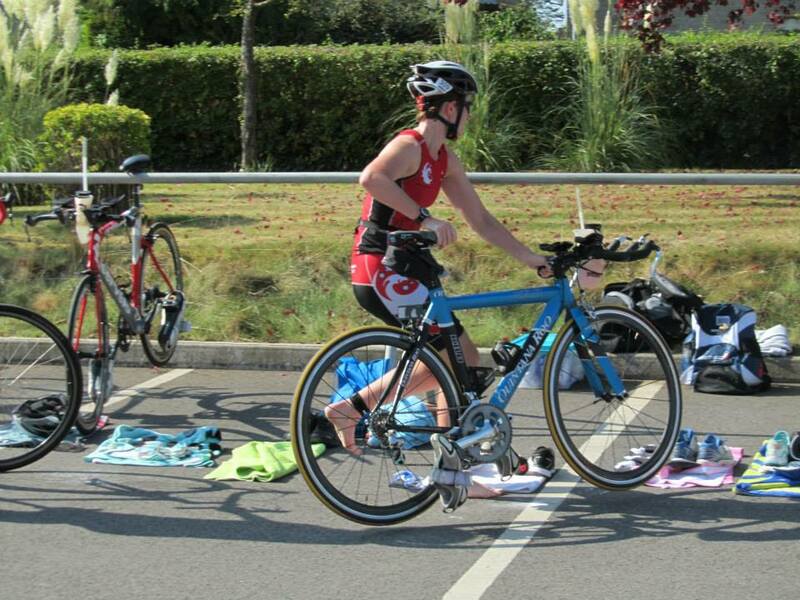 After doing the 70.3 in Mallorca (Half Ironman) for the following two years, and taking a super 1hr 22mins off her time, Lisa was well and truly addicted to triathlon. “No one expected it. Sub six hours! My coach made a comment about maybe sub six and a half hours. So I amazed myself, and him. I got to finish my first Ironman last year in 14hrs 23mins. The first one is always special. There’s so much fear about whether you can do it, and then you realise that you are there doing it. Getting close, realising you are going to finish, and in the time you are aiming for! I had plans for this year to do Ironman UK again, for the second time, knowing that I could finish and get a better time. Unfortunately, 2015 did not live up to my expectations. Firstly, my half Ironman earlier this year was 17 mins slower than it was last year, and I missed qualifying for Weymouth by just four minutes. And then the weather at my Ironman in Bolton was against me. Despite completing an amazing feat that day and finishing her second Ironman, Lisa felt that she had failed. Yet also admits that the last 200 yards of the race were special, with feelings of relief flooding in. “The next morning, I just remember being thankful that I hadn’t qualified for Weymouth as I’d have to race a full distance again in eight weeks. But that only lasted a few hours. By lunchtime, I’d decided to do it again”. After seven weeks completely off, Lisa says she is just beginning to re-build herself mentally. Racing transforms you into a more alive version of yourself. Triathlon racing is a powerful demonstration of our humanity – our courage, our fears, our doubts, our joy, all wrapped into one intense experience. “I am now just trying to figure myself out, and work out where my passion and motivation went in order to be able to train for 2016. I was concerned that the races I have entered next year, including Ironman again, could have been a big mistake. But I am starting to get back my motivation back by enjoying it again, bit by bit. Caitlin Moran's Letter to her Daughter.